2,325-yards rushing, 37-TD’s, 284-yards receiving, 2-TD’s. 300-472 passing for 4,873-yards, 63-TD’s. Graded 95%, 86-Pancakes, District Offensive Lineman of the Year. 240-Tackles, 34-TFL, 5-Sacks, 3-CF, 5-FR. 63-Tackles (46-Solo), 20-TFL, 7-Sacks, 8-QBP, 3-FR, 1-Defensive TD, 9-PBU. 130-240 passing for 2,106-yards, 25-TD’s, 22-carries for 238-yards, 2-TD’s. District Offensive Newcomer of the Year. 98-Tackles, 16-TFL, 11 ½-Sacks (school record), 1-FR, 1-Interception, 6-PBU, 3-CF, 23-QBP. If you turn in any direction from Pleasant Grove High School you can find a football program that’s probably won a state championship, in fact, East Texas has a massive list of state champions in every classification. And, now, the Hawks can look in the mirror after they captured the Class 4-A, Division II State Championship with a 41-21 win over two-time defending champion West Orange-Stark. 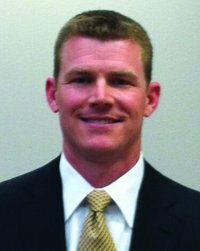 Up until 2017, the Pleasant Grove football program hadn’t won more then ten games in a season, (10) in 2010 under then head coach Kevin Davis. And, when Josh Gibson arrived as head coach in 2014, there was work to do, the Hawks had a combined five wins the previous three years. Under Gibson, Pleasant Grove made the playoffs three-consecutive years with their seasons ending with losses to statewide brand-names, Gilmer (twice) and Celina. But, you could tell the Hawks were getting better and gaining more confidence. And, that was never more evident than during the 2017 season that included a district win at Gilmer and a playoff win against Celina on their way to the Class 4-A, Division II championship. Jackson Sampson, 300-472 passing for 4,873-yards, 63-TD’s. Garrett Moseley, 5-11, 190, Sr., QB, Van, 153-285 passing for 2,495-yards, 29-TD’s, 178-carries for 1,412-yards, 19-TD’s. Career: Rushing (4,101); Passing (6,380) Combined TD’s (134). District Offensive MVP. Trey Collier, Jr., QB, Kaufman, 171-carries for 1,789-yards (10.1/carry), 23-TD’s, 1,385-yards passing, 14-TD’s. District Overall MVP. Brandon Smith, 5-10, 185, Sr., RB, Wills Point, 139-carries for 1,172-yards, 21-TD’s, 8.4/ypc, 21-catches for 228-yards, 4-TD’s. Unanimous District MVP, 2-way all-district 2-years. Also, graded out 96% on the season. JaQuan Jackson, 6-1, 175, Sr., RB, DeKalb, 324-carries for 2,867-yards, 48-TD’s, 7-2XP (10-Games), Built Ford Tough POW, Set school records for rushing yards in a game and season. District MVP. Keaontay Ingram, 6-0, 195, Sr., RB, Carthage, 2,325-yards rushing, 37-TD’s, 284-yards receiving, 2-TD’s. Isaiah Phillips, 5-9, 190, RB, Lufkin, 2,012-yards rushing, 27-TD’s. Jaylin Brown, 6-3, 210, Sr., TE, Longview, 31-catches for 638-yards, 13-TD’s, also graded 90% as blocker, 73-Knockdowns. T.J. Cole, 6-0, 188, Sr., FB, Pleasant Grove, 244-carries for 1,751-yards, 25-TD’s, 20-catches for 414-yards, 5-TD’s. 2-Time All-District. State Championship Offensive MVP. T.J. Rogers, Sr., WR, New Diana, 104-catches for 1,716-yards, 23-TD’s. Tevailance Hunt, 6-2, 185, Sr., WR, Texas High, 69-catches for 1,253-yards, 17-TD’s. 1-Rushing TD, 1-Passing TD. Dee Bowens, 5-7, 165, Sr., WR, Carthage, 62-catches for 1,444-yards, 23-TD’s. Nick Gavriel, 6-2, 302, Sr., OT, Pleasant Grove, Graded-95%, 88-Pancakes 3-Time 1st-Team All-District. Best OL during district and state championship run. Kris Dike, 6-5, 255, Sr, LT, Van, (4-A), 55-Pancakes, Graded-94%, 0-Sacks Allowed, Committed to TCU. 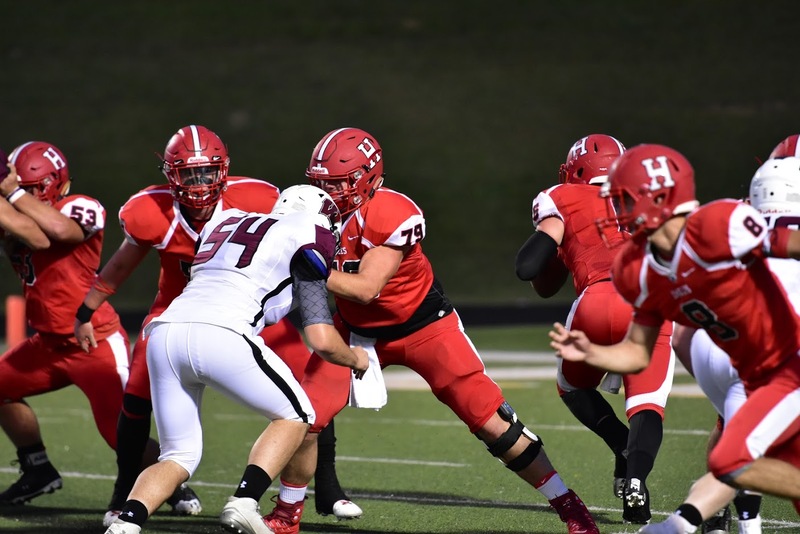 Conner Henson, Sr., Guard, Harmony, Graded 95%, 86-Pancakes, District Offensive Lineman of the Year. Jack Smith, Sr., Guard, Waskom, Graded 82%, 65-Cuts, 50-Knockdowns and played every offensive snap. District Offensive Lineman of the Year. Kyle Berry, Sr, C, White Oak, 33-Pancakes, 71-Knockdowns, Graded 94%, Played in 100% of all offensive snaps. District Offensive Lineman of the Year. Daniel Arnold, DT, Mount Vernon, 110-Tackles, 30-TFL, 13-Sacks, 3-PBU, 2-CF, 1-FR, 2-Blocked Kicks. District Defensive Lineman of the Year. Jaurmez Brock, Jr., DT, Tenaha, 137-Tackles, 22-TFL, 8-Sacks, 15-QBP, 2-FR, 1-CF. (Tie) Carl Williams, 6-5, 305, DT, Lufkin, 56-Tackles, 6-TFL, 4-Sacks, 3-CF, 5-QBP. Marje Smith DE, Marshall, 63-Tackles (46-Solo), 20-TFL, 7-Sacks, 8-QBP, 3-FR, 1-Defensive TD, 9-PBU. (Tie) Elijah Trest, Sr., DE, White Oak, 103-Tackles (37-Solo), 20-TFL, 15-Sacks, 6-CF, 3-FR, 1-Interception, 3-PBU, 1-Defensive TD. All-State, District Defensive MVP. (Tie) Eric Gipson, Jr., DE, Jefferson, 137-Tackles, 10-Sacks, 25-TFL, 2-CF, 1-FR, 1-Defensive TD (Interception Return), 9-QBP. Corbin Foster, Sr., LB, Newton, 240-Tackles, 34-TFL, 5-Sacks, 3-CF, 5-FR. Mykel Gates, 6-0, 225, Sr., ILB, Carthage, 165-Tackles, 20-TFL, 6-QBP, 3-PBU, 3-FR, 1-Interception, 3-Sacks, 1-Defensive TD, 1-Safety. Tyree Wilson, 6-5, 225, Sr., OLB, West Rusk, 126-Tackles, 38-TFL, 7-Sacks, 29-QBP, 5-CF, 5-FR, District Defensive MVP. Tavoris Giles, Sr., MLB, Tenaha, 221-Tackles (130-Solo), 10-TFL, 2-Interceptions (1-TD/70), 2-PBU, 1-FR. Jalen Carr, 5-10, 160, Sr., CB, Longview, 10-Interceptions, 5-PBU, 70-Tackles (61-Solo), 1-Sack, 3-TFL, 3-Blocked Kicks, 1-XP Return for 2-points. Tamauzia Brown, Jr., CB, Newton, 46-Tackles, 16-PBU, 12-Interceptions. Jephaniah Lister, 5-9, 160, Jr., OLB/S, Longveiw, 144-Tackles (89-Solo), 2-Sacks, 4-TFL, 6-PBU, 4-Interceptions, 1-CF, 2-Blocked Kicks. DeMarvion Overshown, 6-4, 205, Sr., S, Arp, 162-Tackles, 5-Interceptions, (1-TD), 6-TFL, 3-Sacks, 6-FR, 5-CF. Mekhi Colbert, 5-10, 185, Sr., S, Carthage, 43-Tackles, 1-TFL, 1-CF, 1-FR, 7-Interceptions (1-TD). 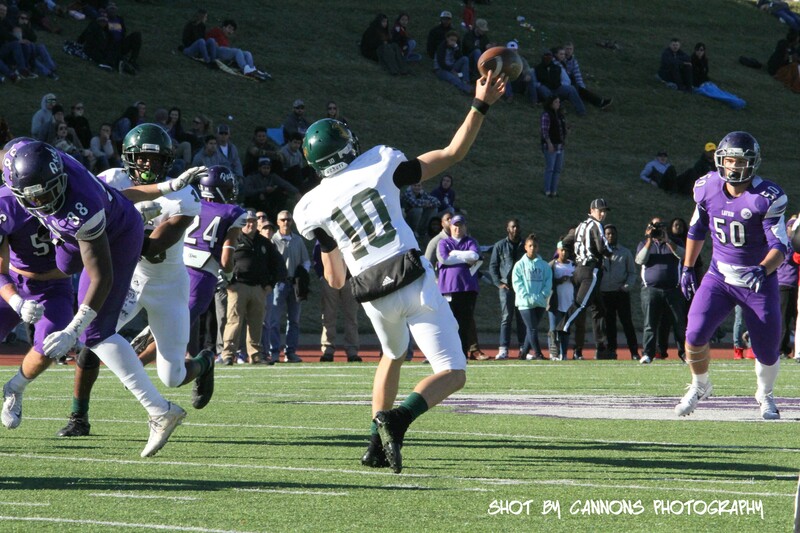 Chris Kessler, 5-9, 160, Sr., K, Longview, 10-FG’s (Long-47), 7-Special Teams Tackles on KR, 28-Touchbacks. Tyler James, 6-2, 195, Sr., P, Wills Point, 24-punts for 40.0-average, Long-58, 5-punts over 50-yards, 4-times inside opponent’s 20. Gerald Turner, KR/PR, Carlisle, 12-PR for 29.6-average, 2-TD’s (Long-75), 10-KR for 38.2-average, 2-TD’s (Long-96). Keilyn Williams, 5-5, 135, Jr., KR, Longview, 21-KR for 22.7-average, 1-TD and 50-yard KR setup game-winning drive vs. Lufkin in Quarterfinals. Will Cook, 5-10, 175, Sr., DS, Tyler Lee, 40-40 XP’s, 35-35 on Punt Snaps. 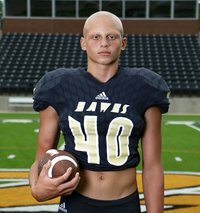 Alex Harris, 5-11, 180, Jr., Special Teams, Van, 25 tackles on Kick-off/Punt Team, 1 Fumble Caused, 1 Fumble recovered for TD. Clifford Brown, 6-0, 175, Jr., Coverage Team, Winona, 18 Special Team Tackles, 1 FF. Gunner Capps, 6-1, 190, Jr., QB, Carthage, 221-343 passing for 3,856-yards, 49-TD’s. Decorian Phillips, 6-1, 175, Sr., QB, Liberty-Eylau, 224-334 passing for 3,461-yards, 33-TD’s, 116-carries for 703-yards, 12-TD’s. District MVP. Career: 374-586 passing for 5,374-yards, 49-TD’s, Rushing: 187-1,273-yards, 19-TD’s. Darrian “Dee” McDuff, QB, Rusk, 128-208 passing for 2,060-yards, 23-TD’s, 175-carries for 1,186-yards, 16-TD’s. District MVP. Gabe Nelson, Jr., RB, Union Hill, 98-carries for 1,911-yards (19.5 per carry), 45-TD’s. 17-30 passing for 346-yards, 8-TD’s. 1st-Team All-State. Darwin Barlow, Jr., RB, Newton, 205-carries for 2,246-yards, 38-TD’s, 14-catches for 189-yards, 4-TD’s. K.J. Davis, 5-8, 180, Sr., RB, San Augustine, 251-carries for 2,442-yards, 34-TD’s, 20-catches for 299-yards, 3-TD’s. Career: Rushing: 790-5,872-72TD’s, Rec: 41-573-4TD. All-State, District MVP. Onterio Thompson, SR, RB, Tenaha, 184-carries for 2,512-yards, 34-TD’s, 4-catches for 60-yards. T.J. Dever, 6-2, 224, Jr., TE/H-Back, Palestine, 34-catches for 645-yards (19.0), 4-TD’s, 21-Pancake Blocks, 17-Knockdowns. 1st-Team All-District. Tradarian Craver, 6-1, 195, FB, Hughes Springs, 1,637-yds rushing, 23TD’s. Saul Chavez, 5-7, 160, Sr., WR, Groveton, (2-A), 100-catches for 1,762-yards, 17-TD’s,12-carries for 111-yards, 5-TD’s, (10-Games), Career: 239-4,266-44-TD’s. Tamauzia Brown, Jr., WR/ATH, Newton, 54-catches 867-yards, 13-TD’s, 50-carries for 565-yards, 5-TD’s, 2-4 passing for 63-yards, 2-TD’s. Dewaylon Ingram, 6-2, 175, Sr., WR, Carthage, 60-catches for 1,061-yards, 15-TD’s. Jaterious Evans 6-2, 180, Sr., WR, Center, 61-catches for 1,078-yards, 10-TD’s, (Long of 97 vs. Kilgore), Single Game (8-276-4 vs. Kilgore). Matthew Flournoy, SR, LG, Tenaha, 93%, 55 pancakes, 260-yards rushing per game, 11.5 yards per rush, 232.9 yards passing per game. Chasen Hines, Guard, Marshall, 43-Pancakes, allowed 2-Sacks all season. Jade Ashalintubbi, 6-6, 325, Jr., OT, Elysian Fields, Graded-91%, 66-Pancake Boocks, 1st-Team All-District. Kylar Cooks, 6-5, 265, Sr., OT, Liberty-Eylau, Graded-90% with 105-Pancakes. District Offensive Lineman of the Year. Nate Brittenham, 6-0, 230, Sr., C, Carthage, Graded 93%, 2-Sacks Allowed in 343-attempts, 46-Knockdowns. Austin Toler, 6-1, 302, Sr., DT, Pleasant Grove, 84-Tackles, 17-TFL, 5-Sacks, 2-FR, 1-PBU, 2-CF, 15-QBP. (Tie) De’Braylon Garrett, 5-11, 169, Sr., DT, Henderson, 76-Tackles, 10-TFL, 10-Sacks, 22-QBP, 1-PBU. Darrien Johnson, 6-0, 215, Sr., DE, West Rusk, 83-Tackles, 32-TFL, 8-Sacks, 6-QBP, 3-FR, 7-CF, 1-Defensive TD. Demorrea Richardson, 5-11, 245, Sr., DE, Kilgore, 50-Tackles, 10-Sacks, 8-TFL, 32-QBP. Ahmad Brown, 6-0, 230, Sr., ILB, Carthage, 161-Tackles, 23-TFL, 4-QBP, 1-PBU, 3-CF, 1-FR, 3-Sacks. Caleb Porchia, 5-11, 195, Sr., ILB, Pleasant Grove, 196-Tackles, 14-TFL, 5 ½-Sacks, 2-FR, 1-Interception, 1-PBU. Ty Patterson, Jr., ILB, Linden-Kildare, 200-Tackles, 23-TFL, 10-CF, 5-FR, 2-Interceptions, 3-Sacks, 2-Blocked Kicks. District Co-Defensive MVP. Kobe Renfro, Jr., LB, Sabine, 191-Tackles, 4-Sacks, 5-CF, 3-FR, 5-Blocked Kicks, 20-TFL, 2-PBU. Class 3-A AP Defensive Player of the Year. Cameron Wells, 5-11, 165, Sr., CB, Pleasant Grove, 40-Tackles, 1-FR, 2-Interceptions, 19-PBU. Best CB in District. Kepha Luster, Sr., CB, Jefferson, 52-Tackles, 6-Interceptions (1-TD), 7-PBU, 2-CF, 1-FR (returned for TD). Tyrek Blanton, 6-2, 205, Sr., OB/S, Henderson, 103-Tackles, 18-TFL, 4-Sacks, 8-QBP, 6-PBU, 5-Interceptions, 2-Defensive TD’s. Ced Thomas, 6-1, 165, Sr, FS, San Augustine, 110-Tackles, 8-TFL, 5-Interceptions, 5-FR, 2-QBP, 4-Defensive TD’s. All-District 1st-Team and All-State. Carlos Campos, Soph., K, Beckville, 47-48 XP’s, 13-14 FG’s (Long-46). Campbell Fletcher, Sr., P, Brook Hill, 32-punts for 44.28 gross average, 37.8-net average, 2-Time 1st-Team All-District. Michael Givens-Washington, Sr., KR/PR, John Tyler, 11-PR for 14.8-average, 1-TD, 1-KR for 26.7-average, 1-TD. Jaterious Evans, 6-2, 180, Sr., KR/PR, Center, 10-KR for 38.6-average, 3-TD’s, 5-PR for 23.0-average, 1-TD. Jackson Jordan (JR), DS, All Saints, snapped for PAT/FG and Punt. 41 of 42 snaps were good. Noah Springer, 6-1, 195, Soph., Coverage Man, Tyler Lee, 14-Special Teams Tackles (10-Solo). C.J. Horn, Sr., QB, Tenaha, 145-185 passing for 2,981-yards, 40-TD’s, 81-carries for 701-yards, 15-TD’s. Trae Hall, 6-3, 190, Sr., QB, Henderson, 173-carries for 1,017-yards, 18-TD’s, 1-catch for 17-yards, 1-TD, 152-255 passing for 2,139-yards, 14-TD’s. Aaron Poppy Brown, 5-9, 200, Sr., QB, Gilmer, 235-376 passing for 3,523-yards, 27-TD’s, 891-yards rushing, 18-TD’s. Quaid Williams, 6-2, 185, Soph., QB, Lone Oak, 1,019-yards rushing, 7-TD’s, 2,045-yards passing, 36-TD’s. Blake Hoffman, 5-10, 200, Jr., QB, Corsicana, 95-165 passing for 1,607-yards, 12-TD’s, 151-carries for 1,072-yards, 12-TD’s. Keylon Kincade Jr., 5-10, 175, Jr., ATH, Winona, 1,501-All-Purpose Yards, 12-TD’s. Barrett Hill, RB, Harmony, 164-carries for 1,954-yards, 21-TD’s, District Offensive MVP. LaDavion Johnson, Soph., RB, Linden-Kildare, 195-carries for 1,988-yards, 28-TD’s (Long-92). District Offensive MVP. Jordan Osby, 6-0, 178, Jr., RB, Timpson, 239-carries for 2,018-yards, 30-TD’s, 310-yards receiving, 3-TD’s. T.K. Hamilton, Jr., RB, Waskom, 175-carries for 1,816-yards, 26-TD’s, 4-catches for 100-yards, 3-TD’s. District Offensive MVP. Xavier Benson, 6-3, 193, Sr., TE, Pleasant Grove, 20-catches for 526-yards (26.3/per catch), 5-TD’s. Jacob Reeves, Jr., FB, Waskom, 151-carries for 846-yards, 8-TD’s, 1-catch for 42-yards. Graded 87%, 23-Knockdowns, 12-TD scoring blocks. Cody Payton, WR, New Diana, 55-catches for 1,469-yards (26.7/catch), 21-TD’s. Jayden Townes, WR, Rivercrest, 64-catches for 1,157-yards, 10-TD’s. Broke every school record, single game, season, career. Dayton Gallagher, 5-11, 175, Sr., WR, Lone Oak, 47-catches for 1,183-yards, 17-TD’s. Lone Oak record-holder for receiving TD’s in a single season. Keandre Street, Jr., WR, John Tyler, 36-catches for 873-yards, 11-TD’s, 1-2XP. Malik Jackson, 5-9, 170, WR, Lufkin, 64-catches for 835-yards, 8-TD’s. Blake Trainor OT, Hallsville, 37-Pancakes, 52-Knockdowns, 0-Sacks Allowed, 1st-Team All-District. Jesse Wayne Pierce, 6-4, 235, Sr., OT, Carthage, Graded 94%, 1-Sack Allowed in 343-attempts, 53-Knockdown Blocks. Caiden Walker, Jr., OT, Newton, Graded 95%, 0-Sacks Allowed. Nathan Kuehne, 6-2, 265, Jr., OG, Tyler Lee, Graded 93%, 78-Will Breakers. 1st-Team All-District. Jovanni Concha, 6-1, 304, Sr., Guard, Diboll, Graded 92%, 31-Pancakes, 0-Sacks Allowed for offense averaged 275-yards rushing per game. Hunter Hollis, 6-4, 295, Sr, OG, Lufkin, Graded 91.4%. Avonte Burnham, Soph., Center, Newton, Graded 94%, 0-Sacks Allowed. D’Idrec Dugan, 6-1, 230, Sr., DT/DE, Sulphur Springs, 65-Tackles, 21-TFL, 8-Sacks, 9-QBP, 1st-Team All-District. 2017 AP All-State. Evander Williams, Sr., DT, Newton, 98-Tackles, 13-TFL, 3-Sacks, 1-CF, 3-FR. Jadrian McGraw, Jr., DE/OLB, Newton, 119-Tackles, 16-TFL, 9-Sacks, 2-Interceptions, 1-FR, 2-Defensive TD’s. Zachary Pilgrim, 5-11, 205, NG/LB, Hughes Springs, 83-Tackles, 1-Interception, 5-CF, 4-FR, 4-Sacks, 7-QBP, 12-TFL. Mitchell Melrose, 6-4, 255, Sr., DE, Whitehouse, 50-Tackles, 12-TFL, 4-Sacks, 8-QBP, 1-PBU, 2-FR. Moved from 3-year starting OL to DE to help the team and started both ways throughout district schedule. Landon Jackson, 6-5, 212, Fresh., DE, Pleasant Grove, 98-Tackles, 16-TFL, 11 ½-Sacks (school record), 1-FR, 1-Interception, 6-PBU, 3-CF, 23-QBP. (Tie) Jadarrion Blakemore, 5-11, 200, Sr., DE, Longview, 78-Tackles (49-Solo), 20-TFL, 3-FR, 3-PBU. Nathan Smith, ILB, Mount Vernon 176-Tackles, 24-TFL, 2-Sacks, 1-Interception, 1-PBU, 1-CF, 3-FR. Corteze Hurd, OLB, Marshall, 88-Tackles, 27-TFL, 7-Sacks, 4-QBP, 1-CF, 1-FR, 2-Interceptions, 7-PBU, District Defensive MVP. Sebastion Mumphrey, 5-8, 180, Sr., LB, Kilgore, 165-Tackles, 2-Sacks, 8-TFL, 3-Interceptions. Garrett Lybrand, 6-2, 202, Sr., OLB, Henderson, 131-Tackles, 26-TFL, 2-Sacks, 29-QBP, 2-CF, 1-FR, 5-PBU, 2-Interceptions. Brealyn Riden, 6-1, 180, Jr., CB, Jacksonville, 52-Tackles, 5-CF, 6-Interceptions. Gerald Turner, CB, Carlisle, 42-Tackles, 7-Interceptions, 6-PBU, 1-FR, 2-CF, 2-Defensive TD’s. (Tie) Cory Strawn, 6-0, 160, Sr., CB, Eustace, 65-Tackles, 4-Interceptions, 5-PBU, 1-CF, 1-FR. Career: 10-Interceptions. Brandon Smith, 5-10, 185, Sr., FS, Wills Point, 143-Tackles (64-Solo), 1-TFL, 1-Interception, 8-KDP’s, 1-CF, 1-FR, 2-Year, Two-Way All-District. District POY. Jerron Thompson, 6-0, 175, S, Lufkin, 95-Tackles, 5-TFL, 7-PBU, 4-CF, 2-FR, 4-Interceptions. Kason Pletcher, FS, Mount Vernon, 92-Tackles, 5-CF, 3-Interceptions, District MVP. De’Kevian Rose, Sr., S, Linden-Kildare, 51-Tackles, 8-TFL, 2-FR, 3-Interceptions (1-TD). 1st-Team All-District. (Tie) Champ Mathis, S, Marshall, 56-Tackles, 3-TFL, 2-CF, 1-FR, 1-Interception, 6-PBU. District Newcomer of the Year. Dillon Williams, 5-6, 138, Jr., K, Pleasant Grove, 87-90 XP’s, 7-11 FG’s (Long-41). Elian Torres, 5-10, 180, Jr., P, Kilgore, 24-punts for 40.6-average. (Tie) Travis Coston, 5-10, 175, Sr., P, North Lamar, 32-punts for 43.0-average. Tahj Washington, Jr., KR/PR, Marshall, 11-KR for 23.1-average, 9-PR for 25.0-average, 2-TD’s. Dakota Pullum, 6-1, 185, Jr., KR, Winona, 28.0-average, 2-TD’s. 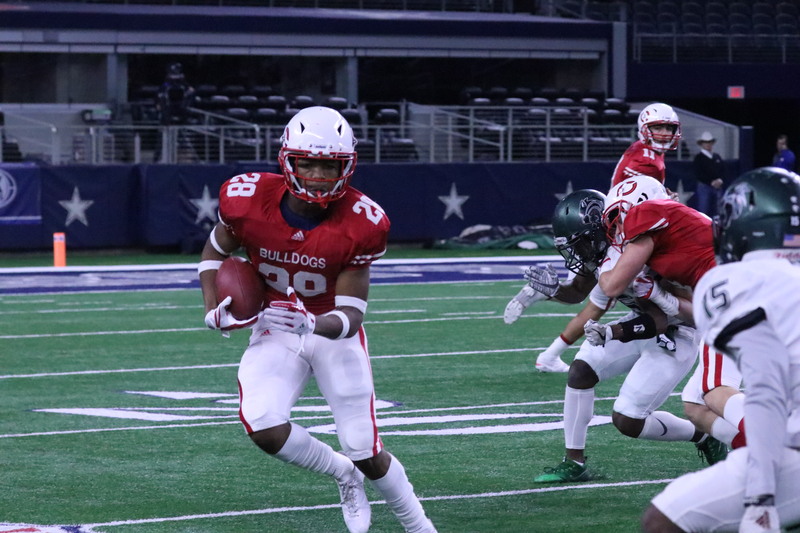 (Tie) Dre Blake, Sr., RB, Hemphill, 2-KR for TD’s. (5-A) Blake Hoffman, 5-10, 200, Jr., QB, Corsicana, 95-165 passing for 1,607-yards, 12-TD’s, 151-carries for 1,072-yards, 12-TD’s. (4-A) Ben Harmon, 6-0, 178, Soph., QB, Pleasant Grove, 85-136 passing for 2,038-yards, 28-TD’s. (4-A) Aaron Poppy Brown, 5-9, 200, Sr., QB, Gilmer, 235-376 passing for 3,523-yards, 27-TD’s, 891-yards rushing, 18-TD’s. (2-A) Lucah Strickland, QB, Rivercrest, 114-161 passing for 1,910-yards, 19-TD’s, 148-carries for 847-yards, 28-TD’s. Broke 11-school record. District MVP. 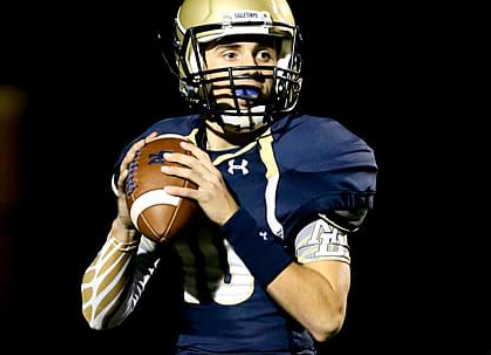 (2-A) Rick Frauenberger, 6-4, 180, Jr., QB, Grapeland, 170-280 passing for 2,904-yards, 29-TD’s. (4-A) Cleet Bowman, Sr., QB, Bullard, 159-279 passing for 2,312-yards, 25-TD’s, 2-Rushing TD’s. (4-A) Jayden Hicks, 5-7, 145, Soph., QB, Center, 171-carries for 627-yards, 6-TD’s, 147-275 passing for 2,070-yards, 20-TD’s. (3-A) Keenan Crawford, 5-6, 140, Jr., QB, Winona, 1,101-yards passing, 11-TD’s, 366-yards rushing, 4-TD’s. (2-A) Gage Jones, Senior, QB, Maud, 107-190 passing for 1,367-yards, 14-TD’s, 155-carries for 747-yards, 12-TD’s. (4-A) Patrick “Buddy” Jackson, 5-8, 165, Sr., QB, Kilgore, 108-carries for 1,009-yards, 11-TD’s, 50-102 passing for 811-yards, 9-TD’s. (3-A) Trey Hodge, Junior, QB, Jefferson, 86-of-148 passing-1,872 yds-19 TDs; 73-carries for 463-yards, 12-TD’s. (4-A) Tyler James, QB, Wills Point, 127-212 passing for 1,527-yards, 14-TD’s, Captain, back-to-back district championships. (3-A) Alejandro Sanchez, 5-9, 160, Jr., QB, Eustace, 172-carries for 1,403-yards, 18-TD’s, 650-yards passing, 10-TD’s. (4-A) Tyler Gray, 5-6, 152, Jr., QB, Palestine, 102-224 passing for 1,638-yards, 10-TD’s, 84-carries for 629-yards, 9-TD’s. (vs. Chapel Hill 24-43 for 464-yards, 3-TD’s; vs. Kilgore 14-30 passing for 312-yards). (3-A) Heath Hood, Sr., QB, White Oak, 163-290 passing for 2,258-yards, 22-TD’s, 146-carries for 920-yards, 16-TD’s. District MVP. (6-A) Haynes King, 6-2, 170, Soph., QB, Longview. 130-240 passing for 2,106-yards, 25-TD’s, 22-carries for 238-yards, 2-TD’s. District Offensive Newcomer of the Year. (3-A) Joshua Foster, Jr., QB, Newton, 112-177 passing for 2,003-yards, 30-TD’s, 83-carries for 553-yards, 15-TD’s. (3-A) Judd Miller, 6-0, 200, Sr, QB, Malakoff, 134-222 passing for 2,024-yards, 19-TD’s, 121-carries for 734-yards, 16-TD’s. (3-A) La'Javius Harper, 5-10, 160, Jr., QB, West Rusk, 93-175 passing for 1,296-yards, 15-TD’s, 85-carries for 748-yards, 13-TD’s. (6-A) Kewone Thomas, 6-2, 200, QB, Lufkin, 175-301 passing for 2,334-yards, 20-TD’s, 147-carries for 634-yards, 10-TD’s. (6-A) Chance Amie, 6-3 205, Sr., QB, Tyler Lee, 150-carries for 1,070-yards, 15-TD’s, 100-170 passing for 1,440-yards, 11-TD’s. 1st-Team All-District QB. (3-A) Trey Lindsay, Sr., QB, Beckville, 130-242 passing for 1,944-yards, 18-TD’s, 82-carries for 882-yards, 11-TD’s. (3-A) Tanner Carlisle, Soph., QB, Rice, 55-110 passing for 1,406-yards, 19-TD’s and 3-Rushing TD’s. 1st-Team All-District. (3-A) Colton Green, 6-2, 180, Jr., QB, Buffalo, 190-carries for 1,736-yards, 29-TD’s, 83-150 passing for 1,254-yards, 12-TYD’s. Career: 313-2,690-43; 199-340 for 2,982-yards and 26-TD’s. (4-A) Bruce Garrett, 5-11, 180, Soph., RB, Pleasant Grove, 120-carries for 1,031-yards, 10-TD’s. (4-A) Kevon Thompson, Sr., RB, Brownsboro, 168-carries for 1,392-yards, 14-TD’s, 7-catches for 94-yards, 1-TD. (4-A) Saul Williams Jr., RB, Brownsboro, 138-carries for 1,082-yards, 15-TD’s, 14-catches for 137-yards, 1-TD. (4-A) Bran Webb, 5-10, 170, Jr., RB, Gilmer, 153-carries for 1,382-yards, 24-TD’s, 21-catches for 329-yards, 5-TD’s. (4-A) Ty Hamilton, 5-11, 175, Sr., RB, Diboll, 171-carries for 1,410-yards, 18-TD’s. (2-A) Brannon Bedre, 6-2, 190, Sr., RB, Grapeland, 133-carries for 1,091-yards, 17-TD’s. (3-A) Cameron Woods, RB, Mount Vernon, 86-carries for 1,262yards, 19-TD’s, 7-3A District Offensive MVP. (2-A) Tylan Brown, 6-1, 205, Sr., RB, Cumby, 239-carries for 1,788-yards, 25-TD’s, 14-2XP. (3-A) Quindarius Johnson, 5-6, 155, Soph., RB, Winona, 149-carries for 1,299-yards, 12-TD’s. 2-A) Brooks Minter, Senior, RB, Maud, 193-carries for 1,261-yards, 16-TD’s. 27-catches for 528-yards, 6-TD’s. (4-A) Briant Mumphrey, 5-7, 150, Sr., RB, Kilgore, 163-carries for 1,461-yards, 20-TD’s, 10-catches for 114-yards, 1-TD. 3-A) Tyron Williams, Junior, RB, Jefferson, 74-carries for 1,044-yards, 16-TD’s, 3-catches for 33-yards. 3-A) Dee Black, Sophomore, RB, Jefferson, 66-carries for 912-yards (13.8/carry), 11-TD’s, 4-catches for 107-yards, 1-TD. 4-A) Vernon Morrow, 5-8, 170, Sr., RB, Wills Point, 190-carries for 1,189-yards, 11-TD’s, 16-catches for 128-yards, 1-TD, All-Purpose Yards (1,479). District Offensive MVP. (4-A) Jeremiah Davis, 5-8, 191, Soph., RB, Palestine, 200-carries for 1,134-yards, 14-TD’s, 7-catches for 108-yards. 3-A) Bo Reddic, Soph., RB, White Oak, 274-carries for 1,389-yards, 21-TD’s, 10-catches for 45-yards. District Offensive MVP. (6-A) Keilyn Williams, 5-5, 135, Jr., RB, Longview, 192-carries for 1,253-yards, 17-TD’s, 13-catches for 174-yards, 1-TD. 1-passing TD (28). (4-A) Sam Thomas, RB, Rusk, 146-carries for 1,439-yards, 17-TD’s, 16-catches for 247-yards, 2-TD’s. 1st-Team All-District. (3-A) Zach Martin, 5-9, 195, Jr., RB, Woodville, 145-carries for 1,461-yards (10.1), 18-TD’s, 2-catches for 41-yards, 1-TD. Also recorded 22 impact blocks, District MVP. 3-Year Starter. 3-Year All-District. (3-A) Zee Bailey, 5-9, 195, Sr., RB, Malakoff, 136-carries for 865-yards, 14-TD’s, 18-catches for 357-yards, 3-TD’s. 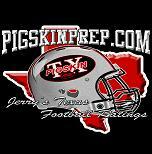 (3-A) Jaylon Garland, 5-9, 170, Jr., RB, West Rusk, 135-carries for 1,152-yards, 20-TD’s, 5-catches for 20-yards. (6-A) Ladarius Wickware, 6-2, 200, Jr., RB, Tyler Lee, 175-carries for 1,170-yards, 11-TD’s, 10-catches for 150-yards. 1st-Team All-District. (2-A) Case Yates, 5-11, 165, Sr., RB, Joaquin, 129-carries for 1,259-yards (9.8), 18-TD’s, played in only 9-games due to injury. 1st-Team All-District RB. (3-A) Dee Robinson, Jr., TB, Rice, 246-carries for 2,106-yards, 26-TD’s. 4-catches for 46-yards, District Offensive Player of the Year(3-A) Dre Blake, Sr., RB, Hemphill, 203-carries for 1,757-yards, 14-TD’s. 5-catches for 104-yards, 1-TD. 1st-Team All-District. (4-A) Elijah Rankine, 5-7, 150, Soph., RB, Van, 475-yards rushing, 5-TD’s, 435-yards receiving, 6-TD’s. (5-A) Tahj Washington, Jr., ATH, Marshall, 9-carries for 150-yards, 2-TD’s, 31-catches for 438-yards, 6-TD’s. (4-A) Marques Hall, 5-7, 150, Fresh., RB, Center, 81-carries for 562 yards, 6-TD’s, 10-catches for 168-yards, 3-TD’s. (3-A) Jailyn Tatum, 6-0, 158, Sr., ATH/UTILITY, Palestine Westwood, 61-carries for 487-yards, 8-TD’s, 32-catches for 467-yards, 6-TD’s. Played Slot Receiver, RB and then ended season as QB. 33-A) Cory Strawn, 6-0, 160, Sr. Eustace, 12-catches for 294-yards, 7-TD’s, 10-carries for 152-yards, 1-TD). 36-A) A’Darius Carter, 6-3, 205, Sr., WR/ATH, Longview, 31-catches for 619-yards, 8-TD’s, 27-carries for 150-yards, 12-TD’s, 6-11 passing for 78-yards. (4-A) Chauncey Martin, 5-11, 185, RB, Sr., Pleasant Grove, 102-carries for 1,039-yards, 15-TD’s, (Six-Man) Colt Mallory, Jr., UTIL/ATH, Union Hill, 51-carries for 988-yards (19.3), 15-TD’s, 13-20 passing for 350-yards, 7-TD’s. (6-A) Lanthony Simmons, 6-2, 205, Sr., RB/WR, Tyler Lee, 74-carries for 500-yards, 6-TD’s, 10-catches for 160-yards, 1-TD, 5-2XP. (3-A) Tre Jessie, Sr., ATH/WR, Rice, 40-catches for 908-yards 13-TD’s (Long of 98), 41-carries for 492-yards, 6-TD’s (Long of 93), 9-25 passing for 126-yards. 1st-Team All-District. (2-A) De’Kevian Rose, Sr., WR/ATH, Linden-Kildare, 48-carries for 433-yards, 6-TD’s, 31-catches for 654-yards, 11-TD’s. 1st-Team All-District. (4-A) Kenneth Woods, FB, Brownsboro, 114-carries for 703-yards, 11-TD’s, 14-catches for 177-yards, 2-TD’s. (5-A) Keshon Williams, FB/TE, Pine Tree, 76-carries for 339-yards, 16-TD’s, 15-catches for 205-yards, 3-TD’s. (3-A) Pablo Tarango, 5-7, 180, Sr., FB, Winona, 10-catches for 195-yards, 2-TD’s, 21-Knockdowns. (Private) Collin Gee, H-Back, All Saints, 25-catches for 315-yards, 1-TD, 30-carries for 227-yards, 6-TD’s. (4-A) Jacob Moore, 6-2, 220, Sr., FB, Wills Point, 3-carries for 59-yards, 1-TD, 19-catches for 284-yards, 5-TD’s, recorded 58-sting blocks (cut blocks) and graded out 94% blocking as the fullback. Unanimous 1st-Team Utility All-District. (6-A) Jamal Ligon, 6-2, 245, Soph., TE/H-Back, Tyler Lee, Graded 95%, 20-Pancake Blocks, 25-Knockdowns, 10-catches for 150-yards, 3-TD’s. 3-A) Austin Scott, Jr., TE, Rice, helped offense to 4,714-yards and 60-TD’s. 1st-Team All-District. (4-A) Carson Cox, 6-2, 184, Sr., WR, Pleasant Grove, 31-catches for 842-yards (27.0), 13-TD’s. (3-A) Cole Myers, 6-2, 170, Sr., WR, Elysian Fields, 44-catches for 1,105-yards, 14-TD’s. (4-A) Red Jones, 5-10, 155, Sr., WR, Gilmer, 49-catches for 623-yards, 3-TD’s. (5-A) Cameron Cantrell, 6-1, 175, Jr., WR, Whitehouse, 51-catches for 620-yards, 6-TD’s. (5-A) Davon Coleman, WR, Pine Tree, 38-catches for 683-yards, 6-TD’s, 25-carries for 235-yards, 2-TD’s. (4-A), 54-catches for 915-yards, 9-TD’s, 1-1 passing for 50-yards, 1-TD. (2-A) B.J. Howard, 6-1, 160, Fresh, WR, Grapeland, 44-catches for 1,032-yards, 8-TD’s. Missed 5-games with knee injury. (4-A) Ty Crayton, Sr., WR, Bullard, 58-catches for 845-yards, 1-TD’s, Long-78, 14-carries for 129-yards, 1-TD. (2-A) QuenTyvian Borders, 6-3, 180, Sr., WR, San Augustine, 43-catches for 751-yards, 13-TD’s. Career: 122-2,679-36TD. (3-A) Dakota Pullum, 6-1, 185, Jr., WR, Winona, 57-catches for 1,033-yards, 16-TD’s. 2-A) Jay Price, WR, Carlisle, 69-catches for 1,001-yards, 9-TD’s. (4-A) Johnathan Shepherd, 6-4, 195, Sr., WR, Kilgore, 19-catches for 405-yards, 5-TD’s. 3-A) T.Q. Jackson, Junior, WR, Jefferson, 38-catches for 861-yards, 10-TD’s. 3-A) Kason Kienzle, Sr., WR, White Oak, 54-catches for 971-yards, 9-TD’s. (4-A) Mahliek Darty, 6-0, 170, Sr., WR, Liberty-Eylau, 60-catches for 887-yards, 12-TD’s. 1st-Team All-District. (3-A) Dillon Walker, 5-11, 165, Sr., WR, West Rusk, 30-catches for 576-yards, 10-TD’s. (6-A) Ja’Lynn Polk, 6-2, 180, WR, Lufkin, 40-catches for 667-yards, 6-TD’s. 3-A) Elizhah Nezar, Soph., WR, Rice, 16-catches for 514-yards, 6-TD’s, 29-carries for 186-yards, 3-TD’s, 1-2 passing for 18-yards, 1-TD. 1st-Team All-District. (4-A) Caleb Medford, 6-1, 175, Soph., WR, Henderson, 45-catches for 861-yards, 8-TD’s. (2-A) Luke Osburn, 5-8, 165, Jr, WR, Overton, 18-catches for 342-yards, 6-TD’s, 54-carries for 307-yards, 2-TD’s, 7-19 passing for 141-yards, 2-TD’s. (3-A) Bradley Cochran, Sr., OT, Waskom, Graded 80%, 84-Cut Blocks, 43-Knockdowns. Unanimous 1st-Team All-District. (6-A) Quynton Cole, 6-3, 280, Sr., OT, Lufkin, Graded 92%. (6-A) Beaux Limmer, 6-5, 255, Jr., OT, Tyler Lee, Graded 95%, 78-Will Breakers. 1st-Team All-District. (3-A) C.J. Robinson, 6-0, 265, Jr., OT, Beckville, Graded 90% or higher in all 10 games, No sacks allowed(3-A) Zane Gifford, Sr., LT, Rice, 63-Pancakes Blocks and led offense that compiled 4,714-yards, 60-TD’s. District Offensive Lineman of the Year. (3-A) Matt Brunson, Guard, New Diana, Graded 88%, 21-Pancake Blocks. (2-A) Jake Petty, Sr., Guard, Cumby, 37-Pancake Blocks, Graded 91%. (4-A) Austin Adams, 5-11, 275, Sr., Guard, Kilgore, Graded 89%, 36-Knockdowns. 3-A) Dylan Polver, Jr., Guard, Jefferson, 43-Pancake Blocks, Graded 85%. 1st-Team All-District. (3-A) Braley Varnell, Sr., Guard, Jefferson, 45-Pancake Blocks, Graded 85%. 1st-Team All-District. (3-A) Patrick Davis Jr., Guard, Newton, Graded 89% Blocking. (6-A) Kyan Milton, 603, 285, Jr., OG, Tyler Lee, Graded 91%, 67-Will Breakers. (3-A) AJ Harris, Sr., Guard, Rice, led offense that compiled 4,714-yards (3,111-rushing) and 60-TD’s. 1st-Team All-District. (4-A) Grayson Traylor, 5-10, 230, Sr., Center, Gilmer Graded 92%, 40-Knockdowns. (3-A) Harrison Reagan, 5-10, 185, Center, Hughes Springs, Graded 92%, 54-Chop Blocks, 14-Pancakes, 2-Center to QB fumbles this season. (2-A) Alex Sultz, Senior, Center, Maud, Graded 92%, 36-Pancakes, 4-Year Starter, 2016 TSWA All-State. (6-A) Carson Stokes, 609, 265, Jr., Center, Tyler Lee, Graded 91%, 67 Will Breakers. (5-A) Melvin Martin, 6-0, 245, Jr., DE, Corsicana, 94-Tackles, 10-Sacks, 14-TFL, 2-CF, 1-FR, 21-QBP. District Co-MVP. (2-A) Jayden Townes, DE, Rivercrest, 42-Tackles, 22-TFL, 8-Sacks, 1st-Team All-District. 4-A) Jayden Jacobs, 6-1, 185, Soph., DE, Van, 102-Tackles, 14-TFL, 6-Sacks, 4-CF, 2-FR (1-TD for 75-yards), 6-PBU. 5-A) Eddie Silas DE, Marshall, 33-Tackles, 20-TFL (5th All-Time in School History), 10-Sacks (3rd All-Time), 4-QBP, 4-CF. (3-A) Nick Hackett, 6-2, 225, Sr., DE, Lone Oak, 97-Tackles, 11-Sacks, 3-CFD, 2-FR. (3-A) Hunter Brabham, 6-3, 230, DE, Hughes Springs, 89-Tackles, 5-Sacks, 13-QBP, 6-CF, 17-TFL. (3-A) Taylor Smith, Sr., DE, Jefferson, 137-Tackles, 6-Sacks, 12-TFL< 4-CF, 3-FR, 4-PBU, 9-QBP. (3-A) Johnny Kelley, Jr., DE, White Oak, 71-Tackles, 16-TFL, 8-Sacks, 2-CF. 3-A) James Sylvester, Soph., DE, Newton, 86-Tackles, 21-TFL, 8-Sacks, 6-PBU. (6-A) Nathan Niedrauer, 6-2, 255, Sr., DE, Tyler Lee, 70-Tackles, 31-QBP, 7-Sacks, 2-CF, 1-FR. 1st-Team All-District. (4-A) Nomar Villegas, 5-10, 208, Sr., DE, Palestine, 60-Tackles, 8-TFL, 5-Sacks, 4-QBP, 1-CF, 1-FR, 2-Blocked Kicks. 2-Year Starter. (3-A) Chase Thompson, 6-1, 190, Jr., DE, Buffalo, 115-Tackles, 44-TFL, 15-Sacks, 32-QBP. District Defensive MVP. (4-A) Drake Fowler, 6-5, 305, Sr., NG, Pleasant Grove, 54-Tackles, 2-TFL, 3-Sacks, 1-PBU, 1-CF, 1-QBP. (5-A) Christian Owens, 6-1, 260, Sr., DT, Whitehouse, 62-Tackles, 19-TFL, 3-Sacks, 9-QBP, 1-PBU, 1-CF. 3-Year Starter. (4-A) Jake Kellam, 5-10, 205, Sr., DT, Van, 113-Tackles, 10-TFL, 4-Sacks, 2-CF, 2-FR. (3-A) Jesus Garcia, 6-5, 300, Jr., DT, Buffalo, 105-Tackles, 38-TFL, 11-Sacks, 35-QBP, 3-Blocked Kicks. (2-A) Tanner Keith, 6-2, 280, DT, Grapeland, 92-Tackles, 12-TFL, 7-Sacks, 5-CF. 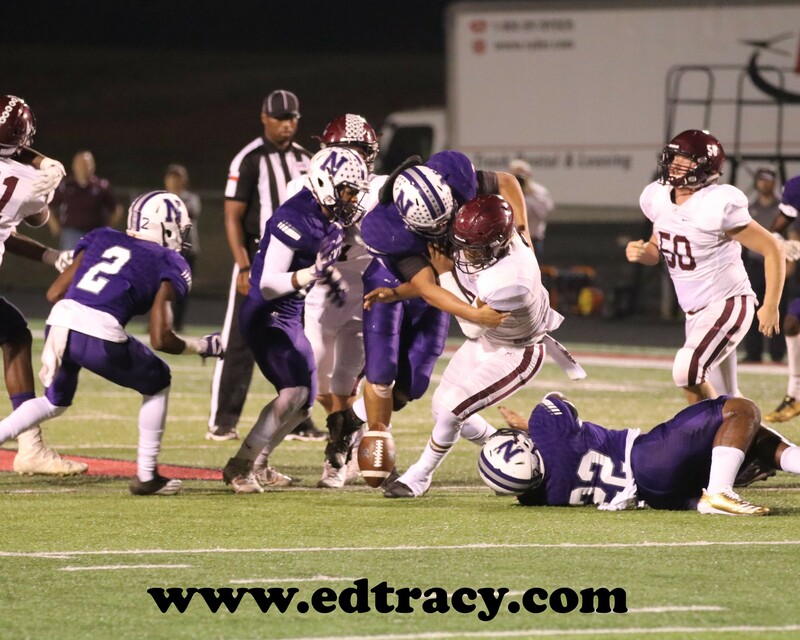 Jesus Maldonado, Soph., DT, Harmony, 46-Tackles, 2-Sacks, 1-CF, 9-QBP, 10-TFL. (3-A) Rocky Cunningham, Sr., DT, Jefferson, 105-Tackles, 2-Sacks, 4-TFL, 1-CF, 2-FR. (3-A) Zach Maly, Sr., DT, White Oak, 62-Tackles, 4-TFL, 6-Sacks, 1-CF, 1-FR. (3-A) Greg Roquemore, 6-1, 245, Sr., DT, Winona, 40-Tackles, 4-Sacks, 1-CF, 3-PBU, 1-QBP. (2-A) Eulalio Carranza, 5-9, 245, Soph., DT, San Augustine, 77-Tackles, 4-TFL, 2-CF, 3-Sacks. All-District. 3-A) Ty Seastrunk, Sr., DT, Newton, 94-Tackles, 11-TFL, 3-Sacks, 1-CF, 1-FR, 1-Interceptions, 2-Defensive TD’s. (3-A) Matthew Davidson, 5-7, 230, Sr., DT, West Rusk, 98-Tackles, 11-TFL, 2-Sacks, 6-QBP, 2-CF, 3-FR. (2-A) Zach Bell, 5-8, 285, Sr., DT, Joaquin, 51-Tackles, 3-TFL, 3-Sacks, 1-CF. District Co-Defensive MVP. (3-A) Zane Gifford, Sr., NG, Rice, 30-Tackles, 1-Sack. (4-A) Jacob Moore, 6-2, 220, Sr., NT, Wills Point, 30-Tackles, 3-TFL, 5-QBP. (4-A) Xavier Benson, 6-3, 193, Sr., OLB, Pleasant Grove, 106-Tackles, 7-TFL, 2-FR, 2-Interceptions, 8-PBU. (3-A) Jeb Dickson, 5-9, 180, Sr., LB, Elysian Fields, 147-Tackles, 8-Sacks, 1-Interception, 15-TFL, 2-FR, 3-CF, 3-PBU. 1st-Team All-District. (4-A) Devyn Morris, Sr., ILB, Kaufman, 114-Tackles, 7-Sacks, 15-QBP, 4-CF, 2-FR, 3-PBU. District Defensive Player of the Year. (5-A) Gary Wiley, OLB, Pine Tree, 102-T, 23-TFL, 13-Sacks, 3-PBU, 4-FR, 3-CF. (4-A) Lucio Monrroy, 5-11, 188, Sr., OLB, Diboll, 103-Tackles, 14-TFL, 6 ½-Sacks, 4-CF, 2-PBU. (2-A) Josh Ackley, 6-0, 170, ILB, Grapeland, 174-T, 17-TFL, 1-Sacks, 2-INT. (5-A) Brevin Randle, ILB, Marshall, 71-Tackles, 16-TFL, 3-Sacks, 3-QBP, 1-FR, 1-Defensive TD, 3-Interceptions. (6-A) Martrevious Allsion, Sr., MLB, John Tyler, 89-Tackles, 2-Interceptions (1-TD), 3-PBU, 1-CF, 1-FR. (3-A) D. J. Click, Sr., ILB, Harmony, 89-Sacks, 3-Sacks, 1-FR, 4-CF, 15-QBP, 1-PBU, 25-TFL. (3-A) Easton Blackstone, Jr., ILB, Harmony, 99-Tackles, 3-Sacks, 3-Interceptions, 2-FR, 2-CF, 9-QBP, 2-PBU, 21-TFL. (3-A) Trent Hart, Soph., OLB, Harmony, 71-Tackles, 4-Sacks, 1-Interception, 2-FR, 1-CF, 16-QBP, 9-TFL. (3-A) Leo Arellano, Jr., OLB, Harmony, 57-Tackles, 2-Sacks, 1-FR, 2-CF, 10-QBP, 1-PBU, 11-TFL. (4-A) Cayle Irvin, 6-1, 210, Soph., LB, Center, 73 Tackles, 4-TFL, 1-CF, 3-FR. (4-A) Jake Liker, 6-0, 170, Fresh, LB, Center, 57-Tackles, 9-TFL, 2-Sacks, 1-CF, 2-FR, 1-Interception. (2-A) Quay Johnson, 5-6, 165, Sr., LB, San Augustine, 124-Tackles, 8-TFL, 1-Sack, 8-QBP, 6-PBU, 2-FR, 3-CF. 3-Time All-District, 2017 District Utility POY. (3-A) Peyton Snow, 5-3, 140, Fresh., MLB, Winona, 167-Tackles, 1-Sack, 1-CF, 2-PBU. (2-A) Walker Adams, ILB, Carlisle, 133-Tackles, 29-TFL, 1-Sack, 3-CF. (4-A) Nesba Brown, 5-7, 170, Jr., LB, Kilgore, 165-T, 3-TFL, 1-Sack, 2-INT. 3-A) Jordan Randle, Senior, OLB, Jefferson, 125-Tackles, 1-Sack, 4-TFL, 1-CF. 3-A) Kole Graham, 5-9, 190, MLB, Eustace, 113-Tackles, 2-Interceptions (1-TD), 1-CF, 1-FR, 5-TFL. 4-A) Roderick Deyon, 5-9, 180, Sr., ILB, Palestine, 103-Tackles, 7-TFL, 1-Sack, 1-Interception for TD, 2-PBU. 3-Time All-District. (2-A) George Beauman, MLB, Big Sandy, 143-Tackles, 13-Sacks, 19-TFL, 11-CF. 4-A) Jose Dejulian, 5-10, 200, Sr., OLB, Carthage, 145-Tackles, 18-TFL, 6-QBP, 7-PBU, 3-CF, 2-FR, 1-Interception, 3-Sacks. (3-A) Marcus Broom, 5-9, 210, Jr., ILB, Woodville, 111-Tackles, 13-TFL, 5-QBP. District Defensive MVP. 3-Year Starter. (3-A) Orlando Cortez, 6-1, 195, Jr., ILB, West Rusk, 140-Tackles, 16-TFL, 2-Sacks, 7-QBP, 2-FR, 1-CF, 1-PBU. (3-A) Diego Molina, 6-0, 190, Jr., ILB, West Rusk, 137-Tackles, 33-TFL, 6-Sacks, 6-QBP, 1-CF, 2-Interceptions, 2-PBU. (6-A) Jackson Treadwell, 6-2, 200, LB, Lufkin, 103-T, 10-TFL, 4-Sacks, 13-QBP. (Six-Man) Colt Mallory, Jr., MLB, Union Hill, 93-Tackles, 1-Interception for TD. (Six-Man) Keelon Caffey, OLB, Union Hill, 98-Tackles, 1-Interception, 2-CF. (6-A) Lanthony Simmons, OLB, Tyler Lee, 75-Tackles, 20-QBP, 4-Sacks, 5-PBU, 3-Interceptions, 3-CF. 1st-Team All-District. (3-A) Ben Bridges, Sr., LB, Beckville, 136-T, 7-TFL, 1-Interception, 3-CF, 4-FR. (3-A) Stone Palmer, Sr., LB, White Oak, 92-Tackles, 1-TFL, 1-Sack, 3-PBU. (3-A) Dee Robinson, Jr., OLB, Rice, 51-Tackles, 1-Sack, 1-FR, 1-CF. (3-A) A.J. Harris, Sr., ILB, Rice, 141-Tackles (78-Solo), 2-Sacks, 1-FR. (3-A) Austin Scott, Jr., OLB, Rice, 68-T, 4-Sacks, 1-Defensive TD, 1-FR, 2-CF. (4-A) Brady Odom, Soph., LB, Henderson, 146-Tackles, 10-TFL, 8-Sacks, 12-QBP, 2-CF, 4-PBU. (2-A) Hudson Rogers, 5-10, 185, Jr., ILB, Overton, 100-Tackles, 12-TFL, 2-Sacks, 4-QBP, 2-Sacks, 2-CF, 1-Blocked Punt. (4-A) Josh Williams, 6-2, 184, Jr., OLB, Palestine, 111-Tackles (70-Solo), 19-TFL, 2-Sacks, 4-CF, 2-FR (1-TD), 1-Interception, 4-PBU. 1st-Team All-District. (3-A) Marshal Jones, 6-0, 170, Jr., OLB, Buffalo, 152-Tackles, 20-TFL, 5-Sacks, 4-Interceptions, 20-QBP. (4-A) Tyler Kelley, 5-6, 155, Jr., CB, Pleasant Grove, 47-Tackles, 1-TFL, 1-FR, 3-Interceptions, 14-PBU. (5-A) Marco Alexander, CB, Marshall, 14-Tackles, 1-Defensive TD, 2-Interceptions, 11-PBU. 1st-Team All-District. (3-A) Collin Jones, Sr., CB, Harmony, 34-Tackles, 4-Interceptions, 2-FR, 2-CF, 7-PBU, 1-TFL. (3-A) Cameron Helpenstill, Jr., CB, Harmony, 37-Tackles, 4-Interceptions, 2-FR, 7-PBU, 4-TFL, 1-Interception for TD. (4-A) Marques Hall, 5-7, 150, Fresh., CB, Center, 31-Tackles, 5-CF, 6-FR, 1-TD, 3-Interceptions, 3-PBU. (3-A) Keylon Kincade, 5-10, 175, Jr., CB, Winona, 39-Tackles, 8-PBU, 2-Interceptions, 2-FR, 1-CF, 1-Defensive TD. (3-A) Dee Black, Soph., CB, Jefferson, 38-Tackles, 3-Interceptions, 2-PBU. (3-A) Chris Smith, 5-9 165, Soph., CB, Elysian Fields, 47-Tackles, 12-TFL, 3-Interceptions, 14-PBU. 1st-Team All-District. (6-A) Marquis Gray, 5-10, 165, Sr., CB, Tyler Lee, 30-Tackles, 10-PBU, 3-Interceptions, 1-CF. 1st-Team All-District. (6-A) Matt Taylor, 5-9, 160, Sr., CB, Tyler Lee, 40-Tackles, 10-PBU, 2-Interceptions, 1-CF. (3-A) Tre Jessie, Sr., CB, Rice, 29-Tackles, 3-Interceptions. 1st-Team All-District. (3-A) Elizhah Nezar, Soph., CB, Rice, 59-Tackles, 4-Interceptions. 1st-Team All-District. (4-A) Chauncey Martin, 5-11, 185, Sr., FS, Pleasant Grove, 64-Tackles, 1-TFL, 1-Sack, 2-FR, 2-Interceptions, 4-PBU. (5-A) Javier Neal, 5-8, 155, Sr., S, Whitehouse, 42-Tackles, 2-Interceptions, 7-PBU. Career: 11-Interception as 3-Year Starter. (2-A) Jacob Owen, Jr., FS, Linden-Kildare, 125-Tackles, 3-CF, 3-Interceptions. 1st-Team All-District. (6-A) Tyus Grayson, Sr., FS, John Tyler, 95-Tackles, 4-TFL, 10-PBU, 1-CF. (3-A) Konrad Eichelman, Sr., FS, Harmony, 97-Tackles, 3-Interceptions, 2-CF, 5-PBU, 1-TFL. (3-A) Drew McNeel, Jr., SS, Harmony, 97-Tackles, 3-Interceptions, 1-FR, 1-QBP, 2-PBU, 8-TFL. (2-A) Braden Coble, Sr., Cumby, 112-Tackles, 5-CF, 2-Interceptions. (4-A) Jaterious Evans, 6-2, 180, Sr., S, Center, 57 tackles, 1-TFL, 1-CF, 1-FR, 2-Int, 4-PBU(3-A) Dakota Pullum, 6-1, 185, Jr., FS, Winona, 4-Interceptions, 48-Tackles, 1-Defensive TD, 1-CF, 1-FR. 2-A) Max Jackson, S, Carlisle, 109-Tackles, 29-TFL, 3-Sacks, 3-QBP, 3-Interceptions, 3-CF, 2-FR. (3-A) Jailyn Tatum, 6-0, 158, FS, Palestine Westwood, 46-Tackles, 5-Interceptions for TD’s, 8-PBU. (3-A) Trace Smith, Jr., S, Jefferson, 91-Tackles, 4-Sacks, 14-TFL, 2-CF, 2-FR, 1-Interception, 3-PBU. (3-A) Dee Mitchell, Sr., S, Jefferson, 46-Tackles, 4-Interceptions, 5-PBU. (3-A) Zach Gulley, Soph., FS, Newton, 108-Tackles, 1-Interception, 1-CF, 3-FR, 1-Defensive TD. (3-A) Bryson Thomas, Sr., SS, Newton, 80-Tackles, 9-TFL, 2-Sacks, 1-FR, 1-CF. (4-A) Kentrell Chatmon, 6-1, 170, Sr., S, Liberty-Eylau, 157-Tackles, 1-FR, 2-Interceptions, 5-PBU. 1st-Team All-District. (6-A) Savon Fields, 5-9, 175, S, Lufkin, 73-Tackles, 5-TFL, 2-Sacks, 6-PBU, 3-FR, 1-Interception, 2-QBP, 2-QB Hits. (6-A) Rhett Parker, 5-10, 175, Sr., S, Tyler Lee, 92-Tackles, 4-PBU, 3-Interceptions. 1st-Team All-District. (3-A) Stephen Darden, Jr., S, Beckville, 55-Tackles, 4-Interceptions (2-TD’s), 16-PBU, 4-CF, 5-FR. (2-A) Tanner Carlisle, Soph., FS, Rice, 32-Tackles, 1-Interception. (Private) Russell Wynne, Soph., K, All Saints, 25-26 XP’s, 2-3 FG’s (Long-35), converted 5-11 onside kicks and he recovered two of them. (4-A) Travis Coston, 5-10, 175, Sr., K, North Lamar, 3-4 FG’s (Long-48), 22-2% XP’s and 4-Touchbacks. 3-A) Landon Fuquay, Soph, K, Jefferson, 66-75 XP’s. (6-A) Rodrigo Molina, 5-7, 160, K, Lufkin, 58-59 XP’s, 8-11 FG’s. (4-A) Axel Romero, Jr., K, Henderson, 51-52 XP’s, 3-4 FG’s. (Private) Russell Wynne, Soph., P, All Saints, 28-punts for 37.1-average, 9 punts inside 20. (3-A) Cory Strawn, Sr., P, Eustace, 21-punts for 38.8-average. 6-A) Chris Kessler, 5-9, 160, Sr., P, Longview, 34-punts for 37.4-average. 6-A) Will Nguyen, 5-6, 165, Sr., P, Tyler Lee, 30-punts for 40.1-average (Long-53). KICK AND PUNT RETURNERS:(3-A) T.Q. Jackson, Jr., PR, Jefferson, 4-PR for 40.0-average, 1-TD. (3-A) Cory Strawn, 6-0, 60, Sr., PR, Eustace, 1-PR for TD. 3-A) Darwin Barlow, Jr., KR, Newton, 1-KR for 89-yards, 1-TD. (6-A) Malik Jackson, 5-9, 170, KR/PR, Lufkin, 38.8-KR average. (2-A) Jordan Osby, 6-0, 178, Jr., Timpson, 1-PR for TD.